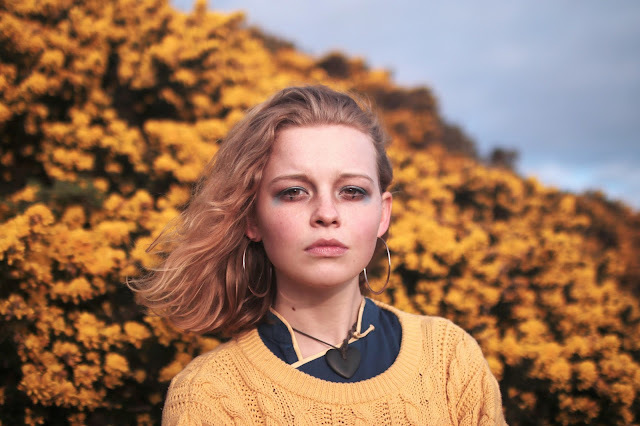 Millie Turner shares video for "Eyes On You"
Millie Turner today shares her video for latest single "Eyes On You", the emotive lyrics behind the song originally stared as a poem written in a museum in Yorkshire in 2016. Speaking about the track Millie said "Like a lot of songs, it can mean lots of different things, but for me it speaks of people, and about being able to be with someone in a way that isn’t comfortable or pretty but human and honest and in some way more real." Turner is only 17 and already has got a lot of attention, her sweet vocals are easily one of the richest I've heard in a while, and with the simple guitar line flowing through it with an industrial drum beat which gives the track even more atmosphere. You can check the track out below.